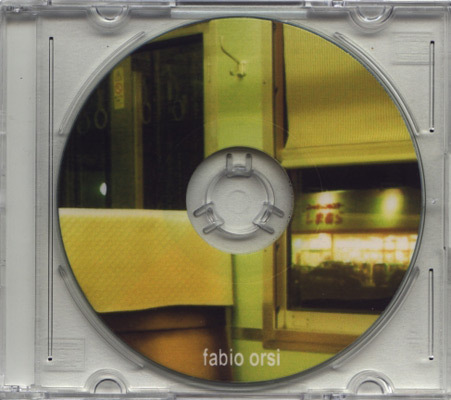 Through guitars, filters, effects and field recordings, Fabio Orsi has manifested his album, titled “Light was the day”, to be a deep, enchanting voyage through shells of sound, which can stand for chapters within the boundaries of the track length that exceeds twenty three minutes by a little. This travel through shells, in a way that brings to mind Dante’s Inferno (well, it brings it to my mind, at least), introduces different phases of the tracks to the ears of the listener. Some parts of the track are airy, hypnotizing moments of sheer wonder and uplifting meditative joy, while others are so dense and potent that I find it hard to move from my chair, as it seems like the air itself thickens as the sounds press against my skin. Orsi builds powerful momentums where he pushes the sounds he creates to their limits. Mind you, he pushes these sounds to THEIR limits, meaning every sound he produces is extended in order to produce maximum results from its potential, instead of merely throwing it into a distortion magic hat in order to magnify it by one million. As a result, the harshest moments of the album are not hostile or insanely overdosed with mayhem. Orsi chooses not to be violent, but instead let these sounds grow while retaining their delicacy and fragility, even as they become gigantic and all engulfing. “Light was the day” does not stop until it reaches its last breathes. Orsi lets this velvet pill slide smoothly down the listener’s ear canals, as he tries and tests the endurance of the participants from time to time. Beautifully laid and layered, this album-track is certainly a gem in the open realms of deep drones and manipulated field recordings.